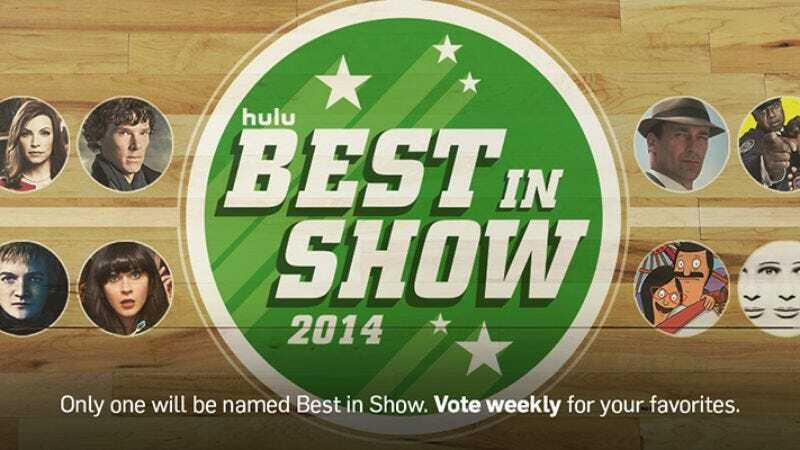 Hulu’s Best In Show for the year is down to its final two competitors, and you have the chance to cast as many votes as you like for the series you think most deserves the title of “Best In Show” for 2014, whatever that might mean to you. You can vote on the match here, and as always, I will explain to you why I made the choice I did below. Hannibal vs. Game Of Thrones: If you were asking me to seed all 16 competitors that we started out with, Hannibal would have been my number two seed, and Game Of Thrones would have been my number three seed. (Poor, abandoned The Americans would have been number one.) So I’m very pleased with this matchup, especially because there were times when I thought it would be, like, Scandal versus Sherlock, and I would have to choose a winner by reading the entrails of a chicken. Come back next week when I reveal the winner several hours after Hulu does, then explain my thoughts on the tournament as a whole!